Outdoor lighting gives you the opportunity to totally transform the look of your house after daylight as well as increase its safety. 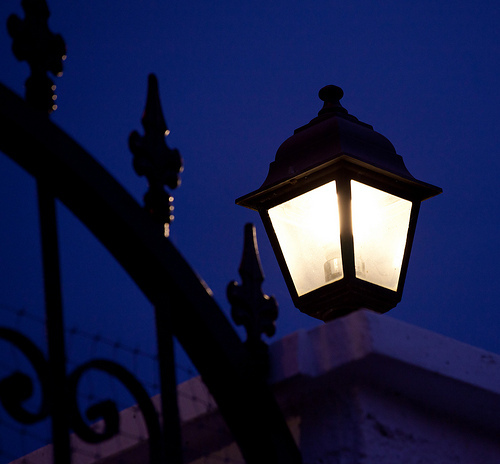 Much more aesthetically pleasing than those harsh and obtrusive floodlights, this guide will show you how to install low voltage outdoor lighting quickly and easily. First, select your transformer. Low voltage lighting is easier and safer to work with than interior lighting because the transformer lowers the standard 120-volt wattage to a harmless 12 volts. Choose a transformer that allows you to connect several cables. 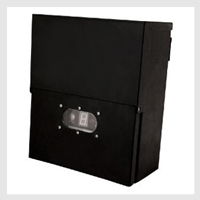 Mount it either on a stake or on the outside of your home, making sure that it is no less than one foot above the ground and no more than one foot away from your ground-fault circuit-interrupter outlet. Some contain photocells that require exposure to direct sunlight. Make sure it is turned off while you install it. You may also want to add a waterproof covering to the outlet for additional weather-proofing. Next, plan the design of your lighting. Do you want to optimally light landscaping and foliage? Do you just want to light a walkway for safety purposes? 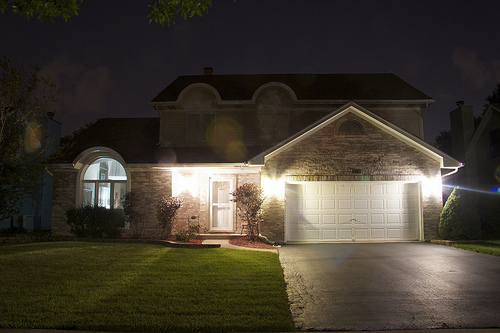 Do you have ponds or a pool that could benefit from some nighttime lighting? 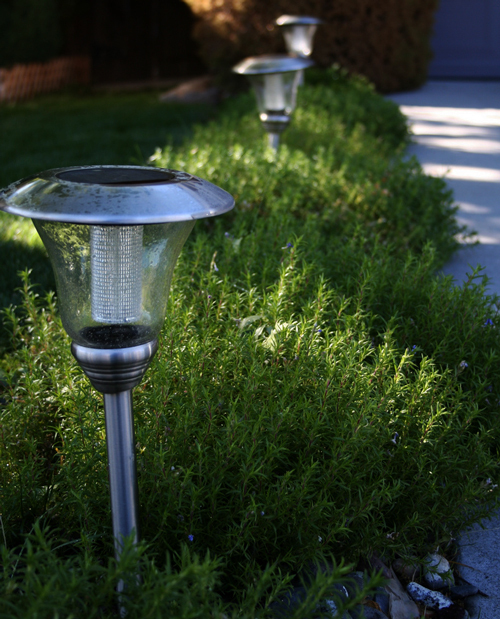 Create a comprehensive lighting plan that includes all lights for paths and their surrounding greenery, offset lighting for footpaths, tree-mounted spotlights for mimicking moonlight, and/or waterproof fixtures for aquatic purposes that you may need. 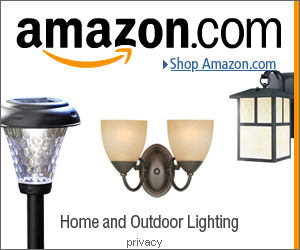 Look into low voltage outdoor lighting kits for hassle-free pre-selected packages and supplies. The fixtures you buy will have instructions included that will tell you the proper gauge of cable to use. 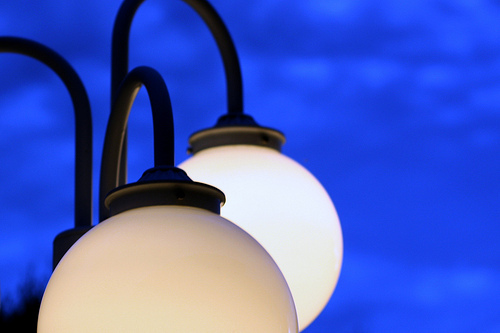 Layout your light fixtures beginning with the farthest away from the transformer and work your way towards it. Once you have placed all your fixtures, leaving about eight to ten inches between each source, and laid out the wiring you can connect the wires to the transformer. Remove about three quarters of an inch of insulation from the cables and insert the exposed wires underneath the terminal screws located at the bottom of your transformer. Now you can bury the cables in a shallow trench (it only needs to be about three to six inches deep). Be sure to leave some slack and a small amount of cable sticking up out of the dirt at each juncture so that you can easily link the fixtures. Attach all lights and cables according to manufacturer specifications. Turn on the transformer to ensure everything is in working order. 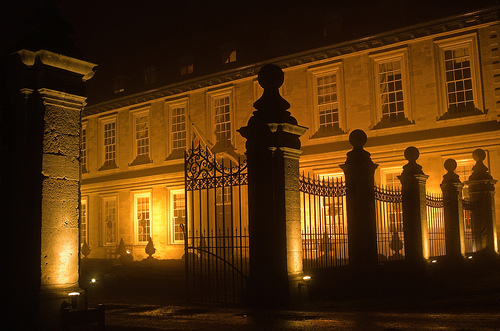 It is best to check the functioning at night to determine if everything is to your liking. Then, push all those visible cable connectors about two inches into the soil. 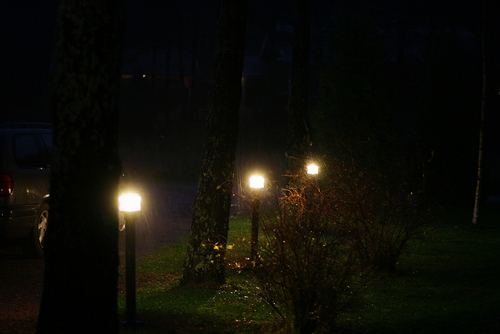 So there you have it, a basic guide on installing low voltage landscape lighting. 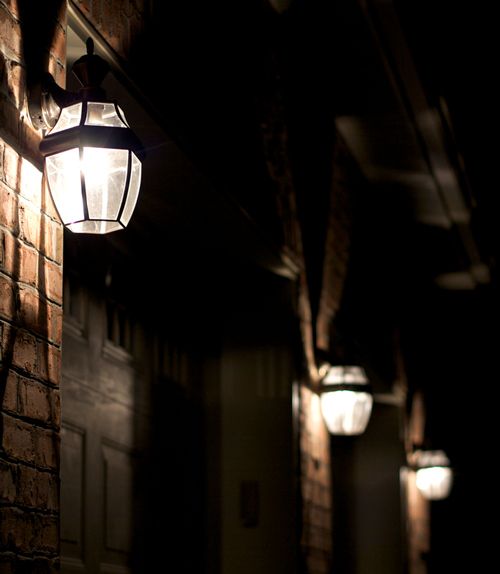 Along with functional exterior lights such as driveway lighting, wall lights, deck and stair lights, there is a more decorative side to outdoor lighting. By adding a mixture of functional and decorative light fixtures an outdoor space will be filled with a variety of lighting effects making it more visually appealing. 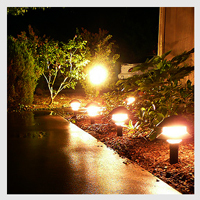 Below are 6 decorative outdoor lighting ideas. 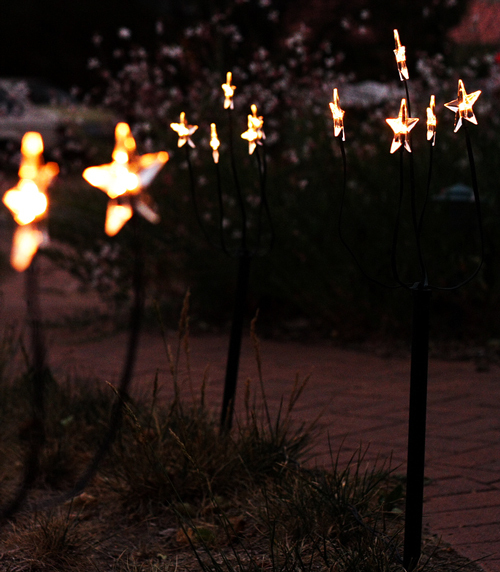 Ranging from wind powered lights to Sun Jars – these are simple ideas that can be used in any garden. String Lights: String lights are one of the most common ways to use lighting to decorate a garden. 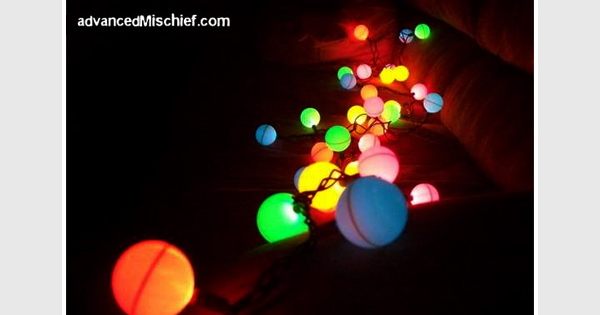 They are more known as the green and red Christmas variety, but other colors are available. 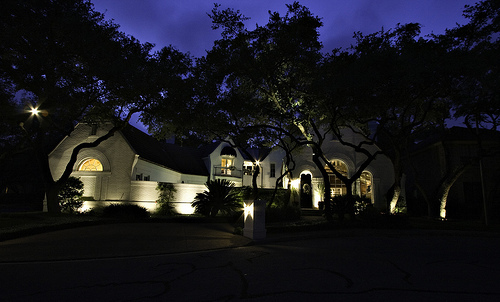 White and yellow colored outdoor string lights can provide soft year round decorative lighting. You can find versions which have glass globes or Japanese style lanterns attached to them. If you want to make it even easier to use these in your backyard, then take a look at solar powered versions – this will eliminate the need for a power source. Floating Lights: If you have any water features outdoors, such as a swimming pool, pond or fountain, then floating solar light fixtures will work well. At night these fixtures will wash the calm moving water with glow of lighting. 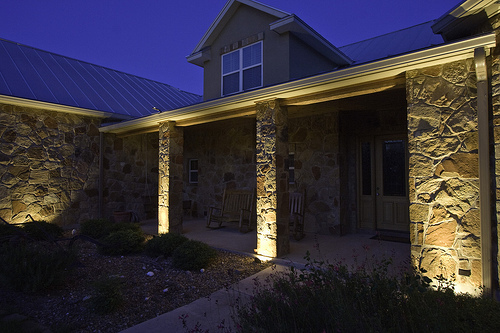 Some will even change color – creating outdoor mood lighting. There are upside down floating lights, that allow you to see the fishes in a pond at night. Some are shaped like water lilies. The Firewinder is an artistic eco lighting fixture. 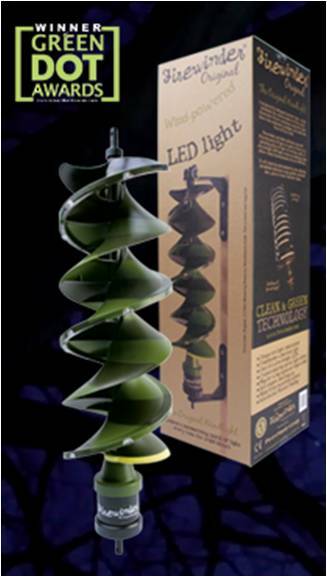 Unlike the solar powered garden lights common today, the Firewinder is powered by wind. At night you can see the lights spinning around, synchronized with the speed of the wind. It can be hung on a tree, a wall or a post. $59.99 available from ThinkGeek. LED Glowing Garden Pots combine the normal flower pot with lighting. These are light weight pots that come in a range of colors and have a light installed within them. One company that makes them is Rotoluxe. They have a range of different shapes and sizes with prices ranging from $150 to $200. 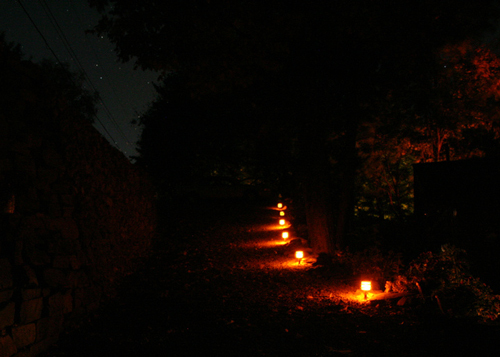 Take a look here for our Modern Exterior Lighting Guide on Rotoluxe’s glowing pots. 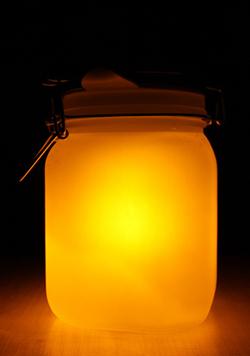 Sun Jars are elegant Mason jars that are fitted with an LED light and solar cells. At night they softly glow much like, as the name suggests, a little sun. As they are waterproof, they are ideal for the outdoors, but can be placed on a windowsill indoors. A number of these spread around the garden will create a magical space. $24-28 from ThinkGeek. 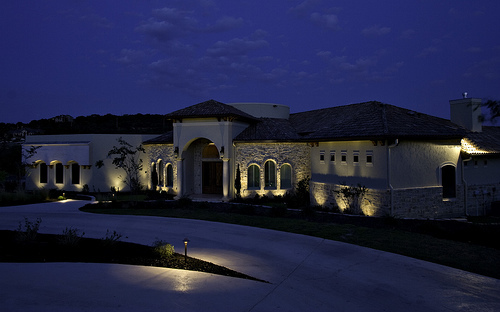 Accent Lighting: The last of our outdoor lighting ideas is to use a décor piece and place lights to highlight it. For example a wall sculpture, a bird bath or a mini statue can have a light fixture directed towards it to showcase it at night. 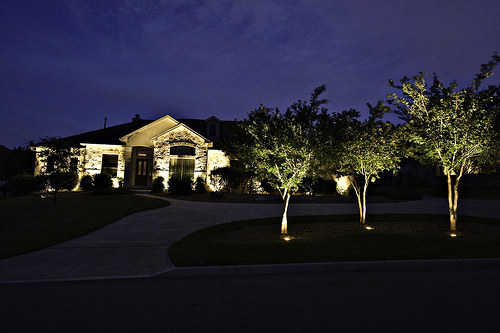 Or exterior lighting can be used to illuminate a tree or a flower bush. 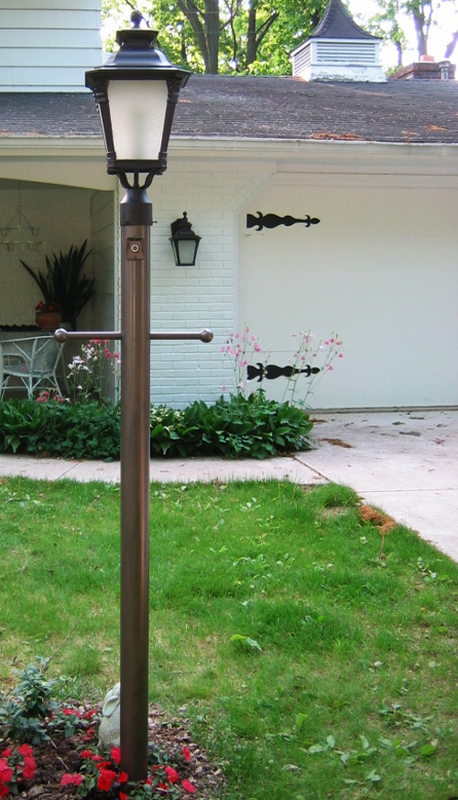 This helps create focal points in a garden.